For those of you who have a lot of acne, don't worry. A study showed that green tea extract may be an effective treatment for acne. The results were announced at the Asian Acne 6th Board Meeting in India. According to Dr Jo-Ann See, expert dermatologist from Australia (Sky News), no treatment is suitable for all types of acne on everyone, so the dermatologist is always looking for a safe and effective way to cure acne. The medical professionals say that green tea extract containing Epigallocatechin Gallate (EGCG), an antioxidant which is 200 more powerful than vitamin E. It helps the body defend ourselves against free radicals and detoxify the toxins that harm cells and tissues. In addition, green tea has been shown to be effective in the fight against Staphylococcus aureus is the most common cause of staph infections are also a cause of acne. 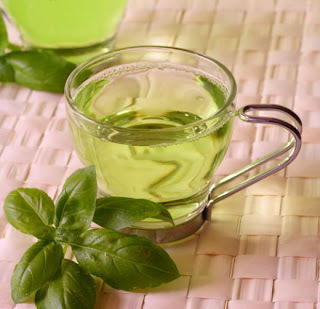 Green tea is suspected to have prospects to effectively cure acne. Green tea also has some advantages compared with other beauty remedy, namely natural and non-toxic. Not only that, green tea can also be reached by the public. Research conducted also known to have a good result, patients taking green tea extract for treating acne is known to be more satisfied with the results they get. In addition, they also don't feel any side effects. Dr. See assume that these results are quite promising. Well, what are you waiting, apparently of natural ingredients such as green tea has a good ability to heal acne blemishes and removes acne scars. While relaxing with a cup of tea, you can also feel the benefits. Protein is an important molecule in the human body. The tasks of a protein that is important is that it helps to maintain muscle mass and keep your metabolism. During this time there are a good source of protein in the egg and tuna. But for you who are vegetarian you can get the maximum protein intake with the proper consumption of vegetables, such as broccoli. Although the cauliflower and broccoli comes from the same family of vegetables, protein content in both very different. By eating about 100 calories of broccoli, your body will be filled with seven grams of protein, 10 grams of fiber, no cholesterol and various other additional nutrients. These figures are very useful for all those who want to feel full by restricting the amount of calories. Only eat half your plate of broccoli stems, enough to fill your stomach with good nutrition. 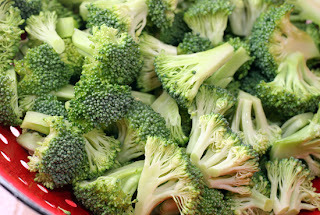 Other green vegetables also have healthy nutrients but not better than broccoli. If you are a vegetarian and want to keep feeling full without adding calories, then you know what to add. Broccoli will help you to get a large amount of protein and fiber but still filling. Broccoli is also beneficial for pregnant women because it contains folic acid that can protect the baby from spina bifida (paralysis of lower body condition) as well as strengthen the neural system and blood cells mother and baby. Folic acid can be reduced due to the oral contraceptive pill, so the number of red blood cells also decreased. Folic acid is also good to encourage the production of serotonin, a natural chemical in the body that can improve mood. Therefore, broccoli is also beneficial for people with depression. We are encouraged to eat 1-3 servings of broccoli a week.